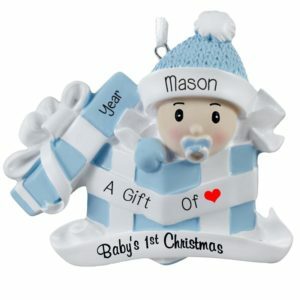 We have the perfect gift for the a Baby Boy’s First Christmas! 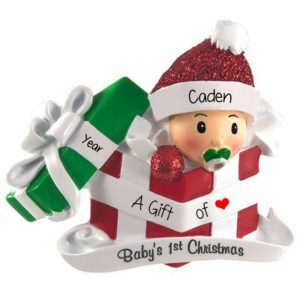 A new baby boy is the best Christmas gift that Santa could bring to any family. 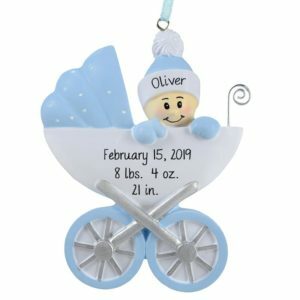 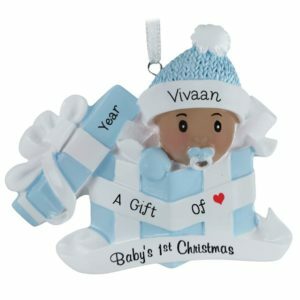 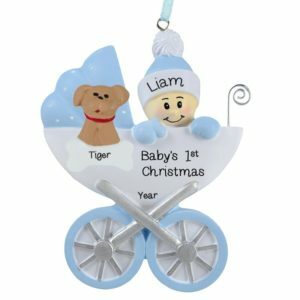 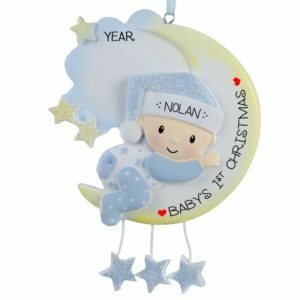 Create a loving memento for the exhausted parents of a new little baby boy with one of our adorable Baby Boy’s First Christmas Ornaments. 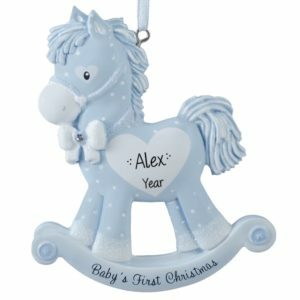 We offer adorable keepsakes with timeless themes; such as rocking horses, baby shoes and waiting for Santa at the fireplace. 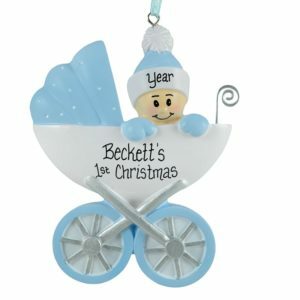 Each one of our customized baby boy’s 1st Christmas decorations will be hand personalized by an experienced writer with special care. 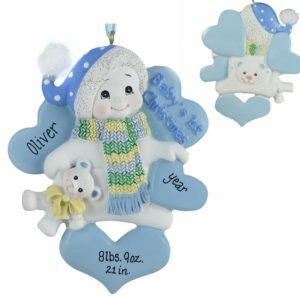 Many of our baby keepsakes offer a place to add additional details such as the newborn’s length, weight and special sentiment. 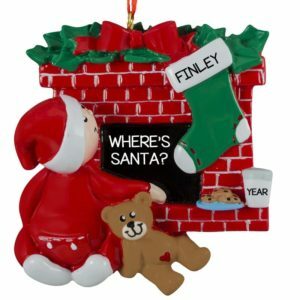 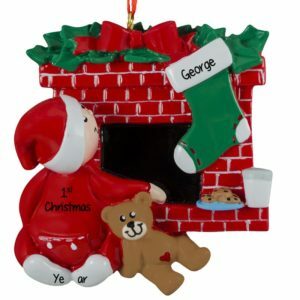 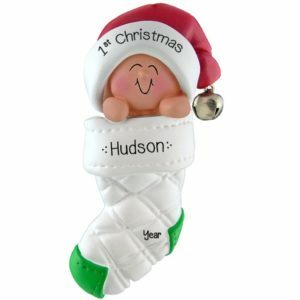 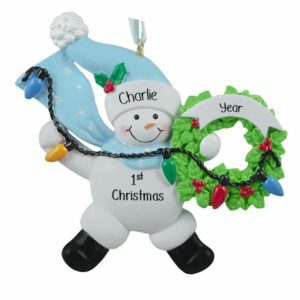 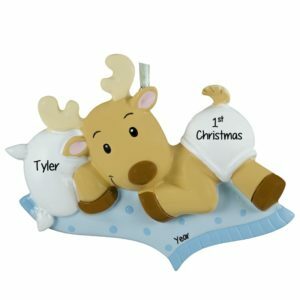 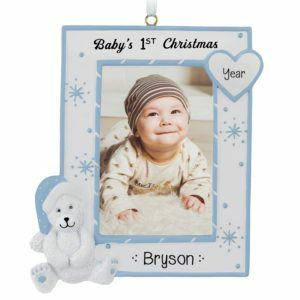 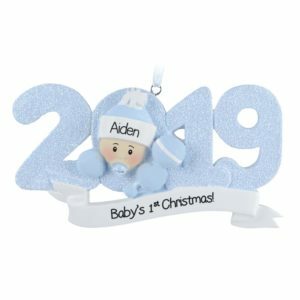 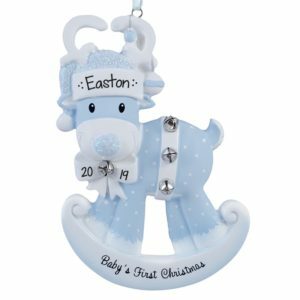 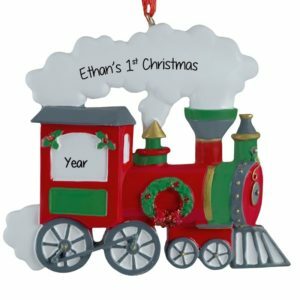 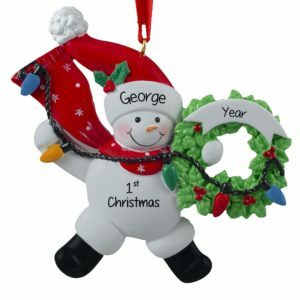 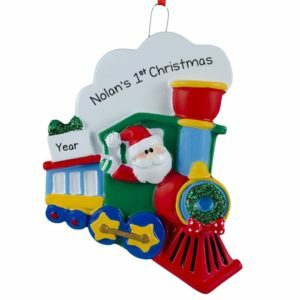 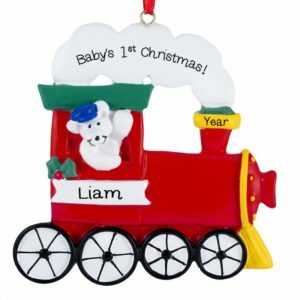 Our personalized baby boy Christmas decorations are the perfect way to start a collection that will grow with the child and help tell the story of his wonderful life. Consider using one of our stylish keepsakes as a name tag for a baby shower gift as well.